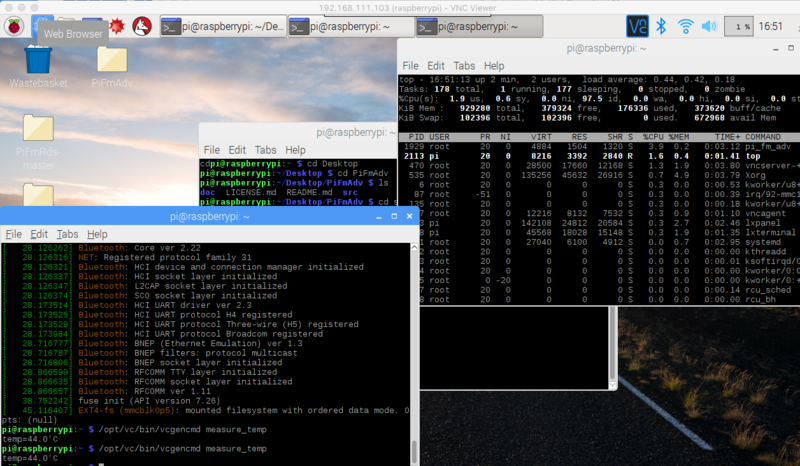 PiFmRds: Raspbian freezes when I change windows. How do I fix it? I am running my raspberry pi 3 with a radio station software PiFmRds The program works fine but then when I go to move the window (or any other window) the system freezes and I have to unplug and replug my pi in. Where can I find the appropriate error log to narrow down the problem? MariaDB is now the default SQL database in Debian 9 Stretch. This introduces a new database binary data file format which is not backwards compatible with your current ( Debian 8 Jessie ) database format. During the upgrade your databases will be upgraded automatically. However, when you run into some issues during or after the upgrade, you will not be able revert back! From this reason it is important to backup all your current databases before you proceed with a Debian 9 Stretch upgrade! Now lets begin to update you: Start by fully upgrade your current Raspbian system before you proceed with a Stretch upgrade. Use the below command to see what we are facing. It is a simulated dry-run thus not system changes will be implemented. The real problem: It was a software issue. The PiFmRds Modulator uses DMA Engine 0 - which worked fine on my Pi2 but on the Raspberry Pi 3 It is used for framebuffering, which explains the freezing. Simply setting the software to use DMA engine 5 may work, but I was having problems with the transmission cutting out after ~10 seconds. I am now using DMA Engine 6 (which is supposedly used by GPU) But I haven'tavnt noticed anything and it works fine! Not the answer you're looking for? Browse other questions tagged raspbian pi-3 radio crash software-compatibility or ask your own question. Is there any lightweight webkit browsers that isn't slow?